Just as no man is an island, no building is an island either; rather, buildings exist within a context. How buildings respond to their context affects their environmental impact. Sustainability certifications and regulations, such as LEED and California's Zero Net Energy (ZNE), seek to bring awareness of the environmental impact of buildings and provide market benchmarks to reduce and measure that impact. An effective approach towards achieving sustainable design, regardless of which or whether a specific certification is being targeted, is a whole systems approach consisting of integrated strategies as opposed to checking off a list of green features. Implementing a whole systems approach within the overall design process ensures you can identify options early enough in the design process to select the optimal mix of sustainable strategies. It can be easy to think about sustainability in discreet categories—energy, water, site selection, and so on—inadvertently overlooking how these strategies can integrate with other strategies for a more significant impact. For example, in thinking about energy efficiency one might consider installing LED lights that turn on and off by sensor, which is an energy reducing sustainable feature. However, if you apply solar orientation, topography and landscape as criteria during site selection and planning, the building design can utilize those inherent site characteristics to maximize natural light and naturally keep the building cooler in the summer, warmer in the winter. The integration of passive sustainable site characteristics and LED lights on a sensor reduces use of artificial light and the energy they use when on. It's also important to reduce water use and consumption. Once again, you could just install low flow toilets and automatic faucets and landscape with less thirsty plants, which are sustainable features that will reduce water usage. However, if you also collect reclaimed water, you could re-use the water for watering plants and as a heat transfer to reduce the amount of energy the HVAC system needs. Adding an air purification system, which will improve indoor air quality, will also reduce the energy demand of the HVAC system. Want to dive a little deeper into sustainability and design? If you’re planning to attend the 2017 PCBC Conference, you may want to consider registering for the Tuesday, June 27th pre-conference workshop on preparing for ZNE compliance. The workshop will take attendees through the critical steps involved in ZNE compliance from the perspectives of builders, planners, designers and regulatory experts. 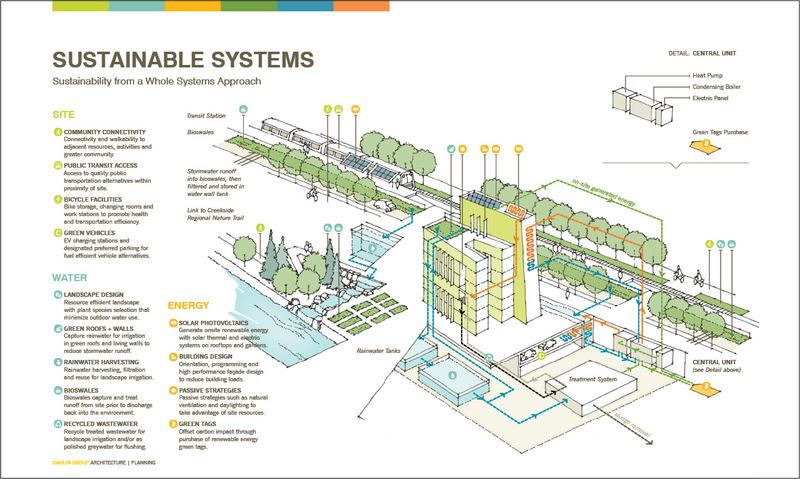 It'll provide a detailed understanding of what this means for residential design, including: the integration of energy goals into physical design decisions during the initial phases; the cost implications of increasingly integrated design and construction approaches; and the consideration of other sustainable features, such as site selection, materials, and water usage. Ritu Raj Sharma is a dynamic, urban designer working with communities, private developers and public agencies. As a senior leader on the planning team, he provides design and planning expertise on a wide scale of planning projects including large master plans, urban mixed-use projects, streetscape plans, and design guidelines encompassing issues of public access, urban design and open space. Through years of seeing numerous projects from start to finish, he has developed a holistic perspective on the planning process from which he actively draws insights for creating innovative planning and development strategies for better communities with a strong focus on sustainable planning practices.